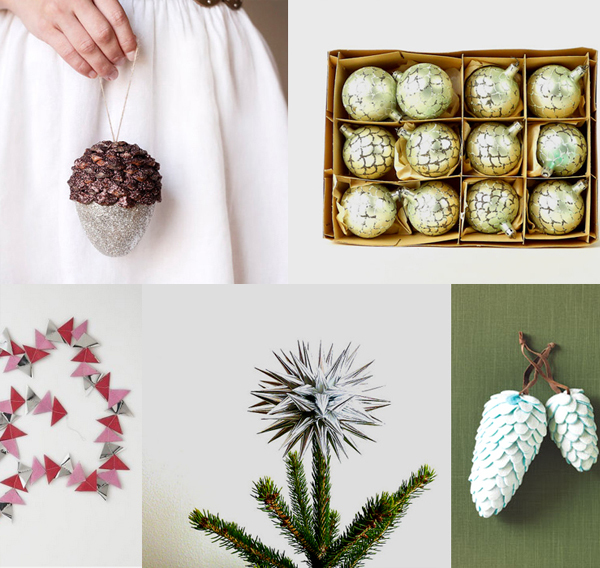 Here's part of the second roundup for the Holiday issue - pretty things for the tree. This was my favorite one to put together, but hard to narrow down (Etsy was a treasure trove of vintage ornaments!). See more here. Oh man, I could totally spend too much money on etsy with regards to holiday stuff! oh gosh, this is such a cute post! every item feels so refreshing. Susan & rooth, I know what you mean! Becca, thank you - means a lot coming from you!